Quebec summers are short, so when the sun comes out, we want to celebrate outdoors. And what’s more fun than a backyard barbecue with a nice glass of rosé and the people you love? If you think the barbecue is only good for burgers and hot dogs, we have a gastronomic surprise for you! Robert Alexis Traiteur is Montréal’s most creative caterer. 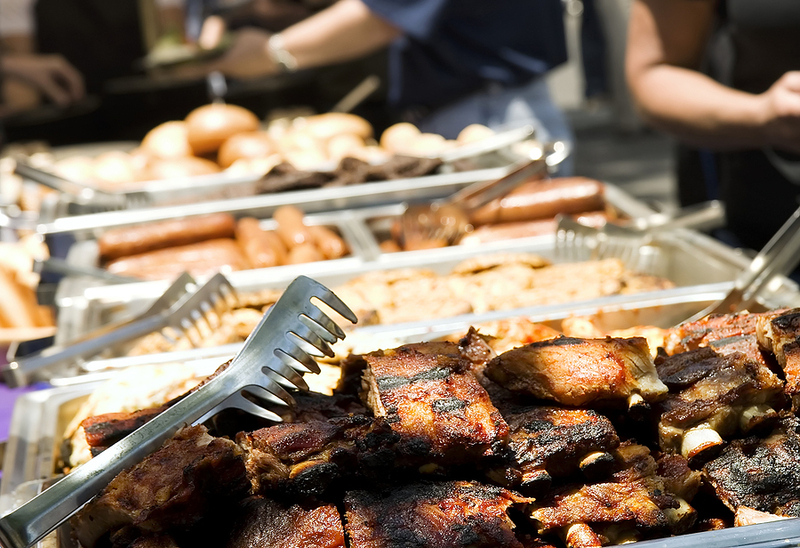 You will be amazed by our barbecue menu, which is anything but ordinary and is sure to delight your taste buds. Enjoy delicious and original hors d’oeuvres followed by classic grilled meats and vegetables, all prepared with the greatest care. We have mastered the art of the luxury barbecue, which comes in two formats: the family barbecue and a more extravagant option for special occasions. Whatever you choose, your guests will be thrilled. We guarantee it!